Nest Chair and Sofa designed by Pierre Paulin for Artifort. 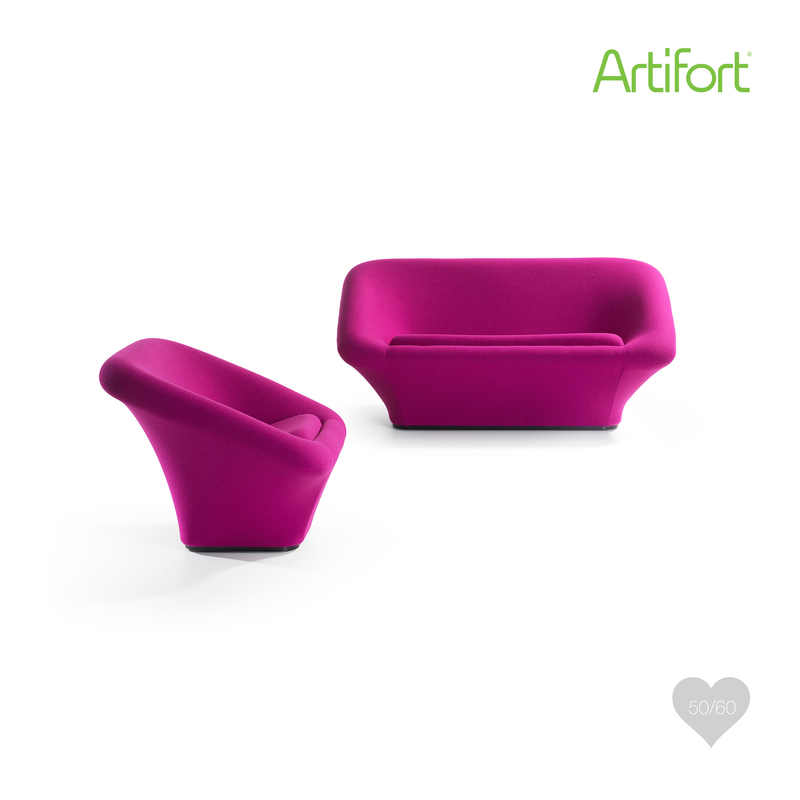 Artifort is proud of its history, which is why they are bringing back Pierre Paulin’s F564 and C565 in 2014. They have called them ‘Nest’. It is a well-loved design from a previous Artifort collection, with beautiful flowing lines and offering great sitting comfort. It is a little retro and very charming, soft, and friendly. The armchair is ideal for times when you want to curl up on your own with a book or a tablet computer, while the compact two-seater sofa is perfect for cosy lounging with your other half. Both are fully upholstered, yet they look elegant because of the narrow base.